31 of South Africa’s beaches will be awarded Blue Flag status on Thursday in recognition of their cleanliness and positive environmental management. The 31 beaches span 13 of South Africa’s municipalities and is almost double the number of beaches awarded Blue Flag status last year. Last year just 18 beaches around the country received Blue Flag status, nine of those in the Western Cape. The Blue Flag award is run by the Foundation for Environmental Education and is given to beaches and marinas that have met stringent standards of water quality, safety, environmental education and information and general environmental management criteria, set by the FEE. Globally almost 4,000 beaches and marinas globally are being awarded Blue Flags. Of the 31 beaches being awarded Blue Flags tomorrow, seven of them will be in Cape Town, one more than the city received last year. Last year, six beaches were awarded Blue Flags: Clifton Fourth, Mnandi, Bikini in Gordon’s Bay, Muizenberg, Strandfontein and a section of Camps Bay.The Western Cape last year had a total of nine beaches with Blue Flag status with Grotto, Hawston Beach and Stilbaai adding to the City of Cape Town haul. The 31 beaches being awarded Blue Flag status will be announced tomorrow by Tourism Minister Marthinus van Schalkwyk. The South African government has rejected the Agriculture Research Council’s (ARC) application to provide genetically modified potatoes to local farmers, saying it was concerned about its safety and economic effect, reports Business Day. The ACB campaign focused on the ARC’s application for commercial release of its SpuntaG2 potato, which has been engineered to kill the tuber moth, a common pest that damages crops in the field and in storage. 350. It’s the amount of carbon dioxide that scientists believe is the safe upper limit for our planet. It’s also the name of a global movement that is mobilising the world to take action on Saturday October 24, the International Global Day of Climate Action. The day of action will include actions from almost every country in the world and will call on all governments to take action to reach achieve an “ambitious, fair, and binding global climate deal”. Two years ago scientists issued a series of studies showing that a carbon dioxide concentration in the atmosphere of more than 350 parts per million (ppm) would be disastrous for life on earth. Right now the atmospheric concentration of CO2 is 390ppm and the 350 campaign on Saturday will be to call on leaders to set goals to reduce this to under the 350ppm threshold. Around South Africa there will be a series of events celebrating the 350 declaration. Johannesburg celebrations will include the Jozi 350 Climate Action Day at Emmerentia Dam, and the Tree planting for carbon offset. Cape Town events will include the Human 350 on Table Mountain and the 350 melting iceblocks on Muizenberg beach. A full list of SA events can be found on the 350.org website. Tired of having a drawer-full of old, worthless chargers that can’t be used to power up your new cellphone? Well, the days of proprietary cellphone chargers are coming to an end. The International Telecommunications Union (ITU) today approved a standard for a one-charger-fits-all format for future cellphone chargers. For consumers this means that they will not need to buy a new charger each time they change cellphones and they will be able to share a single charger between multiple users. For cellphone makers it will reduce the need to ship a new charger with each and every phone they produce, significantly reducing the number of chargers in production. The move to a universal charger comes just two weeks before the Climate Change Talks to be held in Barcelona in early November and cements a decision first made at the Mobile World Congress in February. At the time all major manufacturers, excluding Apple, agreed to work towards a universal cellphone charger. Apple subsequently joined a European initiative to promote universal chargers by 2010. The ITU says the new Universal Charging Solution (UCS) is expected to reduce standby energy consumption by 50% and “eliminate 51,000 tonnes of redundant chargers, and a subsequent reduction of 13.6 million tonnes in greenhouse gas emissions each year”. The new charger format will use the MicroUSB input jack, a connection already built into many newer cellphones. In years gone by, village residents and even early city dwellers were familiar with the notion of “The Commons”, collaboratively owned and managed resources such as grazing land, rivers, forests and water sources. But gradually over time private ownership and corporate growth have whittled away at these all-important resources and today the idea of publicly-owned space and food is all but forgotten. There are, however, some that are trying rekindle an interest in public versus private space and the resources that can be developed in these. One of these is Fallen Fruit, a US-based artists project that offers a new way of rediscovering the Commons and aims to re-educate city dwellers on public versus private space. At its heart Fallen Fruit is a mapping project that collects data publicly accessible fruit in various suburbs around Los Angeles. Most of the fruit mapped is on trees in private gardens and parks but which cross the border line into the public space of pavements and roads. Fallen Fruit – aka David Burns, Matias Viegener and Austin Young – encourage residents of their suburb to pick these “public” fruits, tell friends there whereabouts and even plant fruit trees on their own property borders. The group also organises nightime “forages” involving residents who are educated about the public fruit available and the idea of public space. Another project challenging the relationship between public and private space with horticultural tools is the UK-based Guerrilla Gardening. Founded by London-resident Richard Reynolds, the Guerrilla Gardening website started life as a record of his own secretive night time gardening expeditions around his home. Frustrated with not having a garden of his own and by the generally poor state of public gardening in the area, Reynolds took to the street under cover of dark to plant flowers in land not owned by himself. He documented the progress of his garden on his website and quickly attracted other like-minded gardeners eager to improve their suburbs and cities with greenery. Like the Fallen Fruit project, Guerrilla Gardening is as much about the plants as it is about public space and getting residents to get involved in improving their surrounds. In his recently released book, On Guerrilla Gardening, Reynolds talks extensively about the erosion of public space over the years and how there are few places left where citizens can simply enjoy being without being expected to pay for a drink or entrance fee. Using neglected public spaces, Guerrilla Gardeners aim to both make neighbourhoods more attractive as well as creating more spaces for residents to enjoy the outdoors. Because guerrilla gardeners work with land that is not their own they technically fall foul of the law. Reynolds explains how this can very often bring them into conflict with authorities but how residents are generally more welcoming of the positive changes and very often get involved themselves. Both the Fallen Fruit and the Guerrilla Gardening projects offer interesting approaches to challenging the perceived wisdom around food production, public space and community involvement. The government wants people to throw less waste into landfills and reuse and recycle more. “We need to move away from being a throw-away society … to one which is much more responsible and cognisant of the need to … minimize waste and dispose as a last resort,” the new(ish) minister of water and environment affairs, Buyelwa Sonjica, said in a speech she apparently gave at the local government indaba on environment this week (it was sent out in a media release). But to get more people to start recycling, local municipalities will have to start making it easier to recycle. There are a committed few who carefully clean and sort their plastics, cans, glass and paper and then take them to the municipal collection centres. But, let’s be honest, it’s a schlep finding somewhere to store all the stuff until you’re ready to load up the car and drive to the drop-off point – which for some people can be quite a long way from home. Those of us who can afford it can pay for a kerbside collection service – free ones are few and far between. But, all in all, there isn’t much in the way of official incentives to get people to recycle. Could things be about to change, though? The minister said that her department is developing South Africa’s “master plan”, called the National Waste Management Strategy, that will “guide us on how we reduce the amount of waste generated, recover materials where possible, recycle and reuse …”. She added that her department expects that municipalities “will have to ensure that communities will have access to separate waste bins that will cater for recyclable and non-recyclables”. I wonder what that means. Will we one day in the near future be able to put out a wheelie bin of recyclables on municipal rubbish collection day? That would be nice. Resolution Recycling, which has operated a kerbside collection service in Johannesburg for the past few years, has filed for liquidation. Their collections stopped on June 29, the company said in an email to customers today. Two large-scale development projects in Gauteng – one in Johannesburg, one in Pretoria – are part of an international initiative to show that cities can grow in ways that are “climate positive”. Anyone who drives between Joburg and Pretoria regularly could be forgiven for assuming that someone has decided that no clod of earth should be left unpaved between the two cities. News that moves are afoot to set “compelling environmental and economic examples” among all that concrete comes as something of a relief. The two “climate positive” projects are Zonk’izizwe, a new town centre which will be situated between Gallagher Estate and Grand Central Airport in Midrand, and Menlyn Maine, which is described as a “mixed-used precinct” in the eastern suburbs of Waterkloof Glen Ext 2 and Menlyn Ext 3, Pretoria. The projects are among the 16 founding projects of the Climate Positive Development Programme that will strive to reduce the amount of on-site carbon dioxide emissions to below zero and set an example for sustainable urban growth. The global initiative was announced this week by Bill Clinton, the former US president, at a four-day summit to discuss cities and climate change in Seoul, South Korea. The programme is a collaborative effort of the Clinton Climate Initiative and the US Green Building Council. “As the Earth’s population increases and our cities grow, we need to ensure we have the models in place to sustain our way of life in an increasingly urbanised world,” Clinton said at the launch. To reduce the greenhouse gas emissions of these projects to below zero, property developers and local governments will agree to look at implementing innovations in building; generating clean energy; waste management; water management; transport; and outdoor lighting systems. Last year, for the first time, half the world’s population (3.2-billion people) lived in cities, and that figure is expected to grow to 70 percent by 2050. Cities occupy just 2 percent of the world’s landmass, yet are responsible for more than two-thirds of global energy use and greenhouse gas emissions. How cities change and grow is a critical component to tackling the climate crisis. 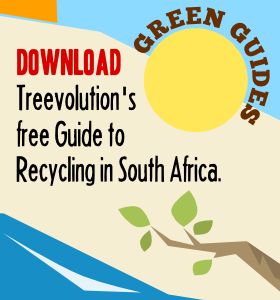 The developers describe Menlyn Maine as South Africa’s first “green living precinct”. Built on 135,000 m2 of land, it will have offices, shops, restaurants, hotels, residences and entertainment facilities all within easy walking distance of one another to promote living, working and playing in a centralised area. The development is also close to the new Gautrain rapid rail link between Pretoria and Johannesburg. To bring some scenery and a breath of fresh air, parklands will run through the middle of the development, in all 5 700m² will be devoted to indigenous landscaping, say the developers. The buildings will comply with the Green Star Rating System recently launched by South Africa’s Green Building Council. This means they will incorporate energy efficient systems, locally produced or recycled building products, and water saving appliances (such as low-flush loos), water-efficient irrigation systems and stormwater harvesting. An added attraction is that Menlyn Maine will have an internal fibreoptic network link to every building in the precinct. Construction has begun and the first commercial sites are due for completion in late 2010. The 220-hectare development will be a new town centre between Johannesburg and Pretoria and will include a lake, parks, outdoor shopping, a hotel, museums, an aquarium, themed-adventure experiences, a nightlife village, multiplex cinemas as well as residential, office and retail space. Sustainable development and “green” architecture feature prominently in the Zonk’izizwe design, with innovations like bio-water recycling/purification and solar power energy contributions, energy efficient strategies and a conservation ethic, says the Development Design Group Inc, the US-based planning, architecture and design group, on its website. The development also aims to minimise its environmental impact by reducing vehicle-use. Buildings will have access to public transport, bicycle paths, the lake and be within walking distance of basic services. IT’S NOT ENOUGH: Draft climate legislation unveiled in the US this week was reportedly welcomed by green groups at the UN climate talks in Bonn. The law calls for a cut of 3 percent from 2005 levels in greenhouse emissions by 2012, 20 percent by 2020, 42 percent by 2030 and 83 percent by 2050. The European Union has agreed cuts of 20 percent below 1990 levels by 2020, and of 30 percent if other developed nations followed suit. Obama’s cuts would to only take emissions back to 1990 levels by 2020, say reports. The UN climate panel says developed countries would have to cut emissions by between 25 and 40 percent below 1990 levels by 2020 to avoid the worst of climate change. GM MAIZE PROBLEM: Of the 1,000 South African farmers who planted Monsanto’s GM-maize this year, 280 suffered extensive crop failure, writes Rapport. The plants, grown from three varieties of GM maize, apparently looked healthy but failed to produce seeds. According to the report, Monsanto said a mistake had been made in the laboratory and the company immediately offered to compensate farmers in Mpumalanga, Free State and North West. Marian Mayet, director of the anti-GM Africa Centre for Biosecurity, called for an urgent government investigation and an immediate ban on all GM-foods. DOLPHINS: THE GOOD NEWS: A stronghold of rare Irrawaddy fresh-water dolphins, numbering nearly 6,000 individuals, has been found in Bangladesh’s Sundarbans mangrove forest by researchers from the World Conservation Society. Last year the dolphins were listed as vulnerable on the IUCN red list. Fancy yourself as a bit of an activist? Well, why not join in Fossil Fools Day? Tomorrow from 12pm to 2pm environmental activists will be marking April 1 by handing over this year’s South African Fossil Fool of 2009 Award to Sasol at their head office in Sturdee Avenue, Rosebank, Johannesburg. The award is Earthlife Africa’s way of highlighting the role Sasol plays in warming our planet. It takes hard work, years of application, and significant capital investment to win a Fossil Fool Award, says Earthlife. It produces 72.6 million tonnes of greenhouse gases annually; total annual greenhouse gas emissions for South Africa are 446-million tonnes of carbon dioxide-equivalent. It’s planning to build a new 80,000 barrels/day coal-to-liquids plant in South Africa. This would add an estimated 23-million to 37-million tons of carbon dioxide into the atmosphere on an annual basis. And it fixed prices of its goods, both in South Africa and Europe.